​At Wellman & Griffith, we specialize in smart home technology, whole house audio/video solutions, and home theater systems. We serve all of Northeast Ohio, including Cleveland, Akron, Canton, and surrounding areas. Whether you are building a new home, remodeling the basement, or updating an existing room, our knowledgeable design & installation staff will help you build the perfect system. Wellman & Griffith customers have a true partner in home technology. You can count on us from your initial consultation to final installation and beyond. We invite you to visit our showroom in Fariview Park, Ohio, and experience the best quality, performance, and service in home technology. Wellman & Griffith provides complete, end-to-end home technology solutions. We offer project consultation, expert system design, professional installation, system programming, and technical support. Our services will meet your needs and exceed your expectations. ​Smart home or home automation solutions bring together all of your home electronics in a single easy-to-use interface. Home automation may involve control of a single room in your home, or may integrate all the technology throughout your home. 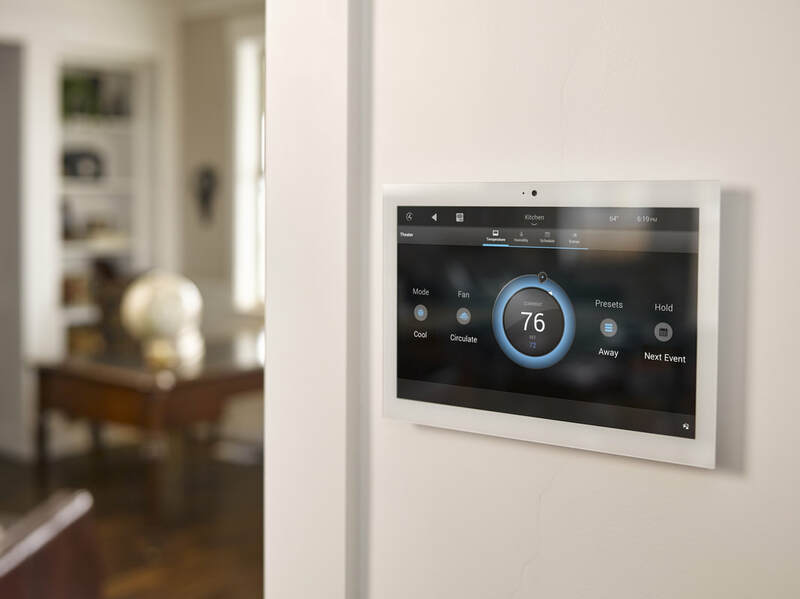 Automation systems quickly turn your home into a smart home, with simple controls that you can access from your smart phone or tablet.